This statistic highlights the opinion of French consumers as to the legitimacy of the higher price of organic meat in 2016. 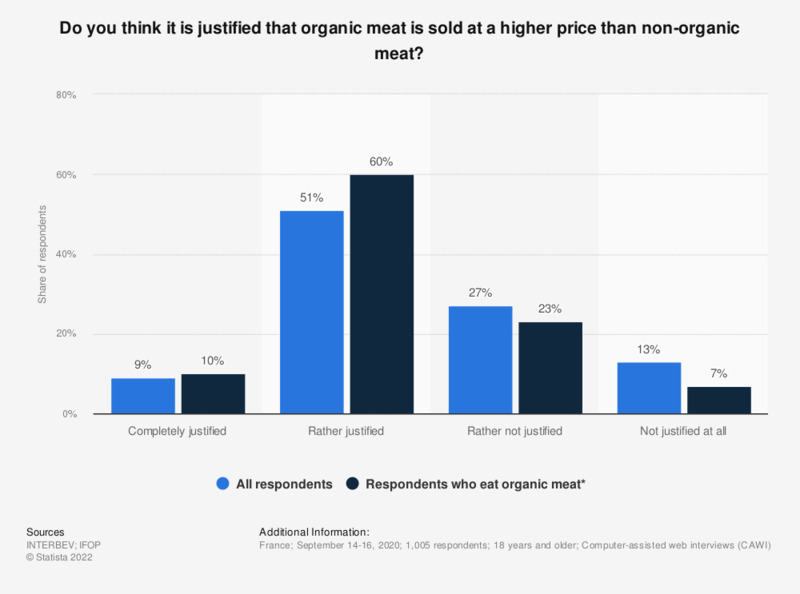 It appears that nearly 60 percent of respondents considered that the price of organic meat was justified. * This question was phrased by the source as follows: "Enfin, selon vous, est-il justifé ou non que la viande bio soit vendue plus cher que la viande non bio?" In your opinion, what are the reasons for turning to ethical consumption?